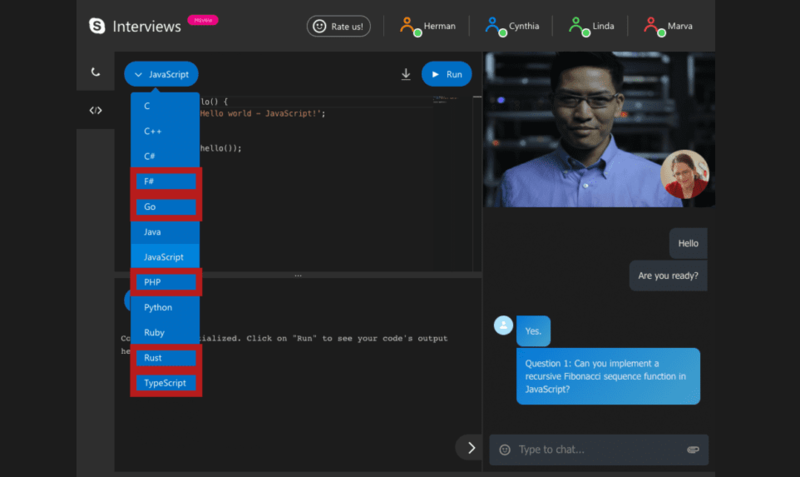 We had recently reported how Skype, the most popular video calling platform, launched a real-time code editor at Skype.com to make the difficult task of switching between the interviewer’s call and the code editor more easy and allow to execute coding comfortably along with technical interviews. Besides this, it allows participants to take a snapshot of any code that has been written. All you need to do is click on “Download” next to the Run button to save the code to your PC. Also, added to the right-hand side of the code editor is a chat interface, that allows users to upload files, images, and videos directly through the chat sidebar. Other than the above updates, Microsoft is also encouraging users to submit any coding language they might need an applicant to use so it can be added to the app in an update as soon as possible. If you are interested in checking out the Skype interviews service, you can click here.